NickALive! : Jace Norman, JoJo Siwa and Daniella Perkins to Star in New Nickelodeon TV Movie "Inside Voice"
Jace Norman, JoJo Siwa and Daniella Perkins to Star in New Nickelodeon TV Movie "Inside Voice"
Nickelodeon has greenlighted a brand-new TV movie that tells the story of a kid who, after a comical VR mishap, starts speaking every thought he has out loud! 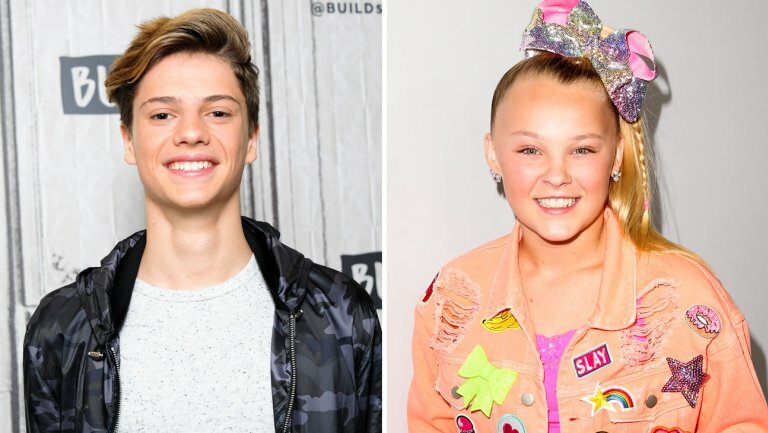 Inside Voice will star Jace Norman (Henry Danger, Splitting Adam, Rufus), JoJo Siwa (JoJo Siwa: My World, Dance Moms) and Daniella Perkins (Knight Squad, Legendary Dudas). It's in production in Vancouver for a 2018 premiere. The movie follows nice-guy Jeremy Martin (Norman), who, after putting on mysterious virtual reality glasses at the mall, suddenly loses his "inside voice" and starts spouting every thought he has out loud. Making matters worse, Jeremy is running for student council president against his classmate Milly (Perkins), who is full of great ideas to improve the school. Desperate to get back to normal, Jeremy and his sister Victoria (Siwa) must figure out how to convince his brain that he can speak up for himself. The virtual reality sequences featured in the movie are being developed and created by Nickelodeon’s Entertainment Lab, the network's new division spearheading long-range research and development efforts around new technologies for Nick and its audience. Inside Voice is the first on-air project to feed through the lab. Norman stars in Nickelodeon's Henry Danger, which is most-watched TV show year-to-date with kids 2-11 and kids 6-11. He'll also serve as a co-producer on Inside Voice. Siwa has an overall talent deal with Nickelodeon and global consumer products program and will star in her own TV special, JoJo Siwa: My World, premiering at 8pm ET/PT on Saturday 12th August 2017 on Nickelodeon USA. Perkins will begin production later this year on her new Nickelodeon series Knight Squad, set at a magical school for knights in training. 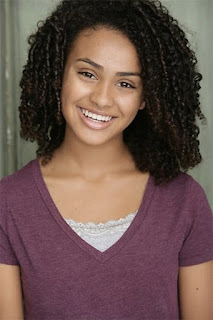 Previously, Perkins portrayed 'Sophia' in the Nickelodeon comedy Legendary Dudas. Inside Voice is executive produced by Scott McAboy and Michael Sammaciccia. Amy Sydorick is producer. The Nickelodeon Original Movie was written by Adrian Vina (Liar, Liar Vampire) and is directed by Michelle Johnston (Another Cinderella Story: If the Shoe Fits). BURBANK–July 17, 2017–Nickelodeon announced today the start of production on a brand-new original TV movie, Inside Voice, starring Jace Norman (Henry Danger, Splitting Adam, Rufus), JoJo Siwa (JoJo Siwa: My World, Dance Moms) and Daniella Perkins (Knight Squad, Legendary Dudas). Set to premiere in 2018, the live-action comedy tells the story of a kid who, after a comical VR mishap, starts speaking every thought he has out loud. To complicate matters, he happens to be running in the school election. Production is underway in Vancouver, British Columbia, Canada. When nice-guy Jeremy Martin (Jace Norman) puts on mysterious virtual reality glasses at the mall, he suddenly loses his “inside voice” and starts spouting every thought he has out loud. Making matters worse, Jeremy is running for student council president against his classmate Milly (Daniella Perkins), who is full of great ideas to improve the school. Desperate to get back to normal, Jeremy and his sister Victoria (JoJo Siwa) must figure out how to convince his brain that he can speak up for himself. The virtual reality sequences featured in the movie are being developed and created by Nickelodeon’s Entertainment Lab, the network’s new division spearheading long-range research and development efforts around new technologies for Nick and its audience. Inside Voice is the third project for air to feed through the Entertainment Lab, joining Lincoln Loud “Live” and Nick’s upcoming TV movie Escape from Mr. Lemoncello’s Library. Jace Norman currently stars in Nickelodeon’s Henry Danger, which is year-to-date the number-one show on TV with kids 2-11 and kids 6-11. Breakout-star and social media sensation JoJo Siwa inked an overall talent agreement with Nickelodeon, a global consumer products program and will star in her upcoming TV special, JoJo Siwa: My World, airing on Nickelodeon on Aug. 12, at 8 p.m. (ET/PT). Daniella Perkins will begin production later this year on her new Nickelodeon series Knight Squad, set at a magical school for knights in training, where two mismatched students form an unlikely alliance to protect each other’s secret and pursue their dreams. Inside Voice is executive produced by Scott McAboy and Michael Sammaciccia. Amy Sydorick is serving as producer. Jace Norman is serving as co-producer. The TV movie was written by Adrian Vina (Liar, Liar Vampire) and is directed by Michelle Johnston (Another Cinderella Story: If The Shoe Fits). Original source: The Hollywood Reporter. Follow NickALive! on Twitter, Tumblr, Google+, via RSS, on Instagram, and/or Facebook for the latest Nickelodeon Original Movies and Inside Voice News and Highlights! SpongeBob Game Station - New Update!